is there supposed to be a picutre? WOw learning to shoot before speaking thats pretty messed up but hey if it works why fix it? Dang, that pull-out picture is crazy! those ships must be huge!!! A voice in the head of some important fluffels appears to speak: Greetings, were the Zrithig. Were amazed at your technology, and your network of spies, and your weaponry. We can also see that youre not like those alliance dwellers, would you care to join us? The S.W.U. is looking for psychotic members, and you guys are at the top of the list. Anyone have the large images from this? 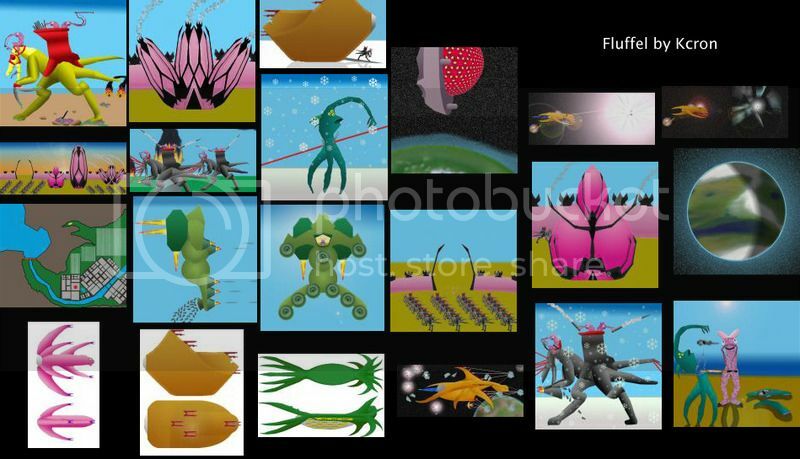 All I could find were the thunbnails from Spore Planet.